Businesses, authors and entrepreneurs come to us for press releases when they have something specific to announce or just when they want to increase their exposure in the media. The more specific the “news” you wish to announce, the more likely you will get media coverage. The more targeted the media you seek, the more likely you will be covered. Hiring our professional press release writers will increase your chances that you will grab the media’s attention. Our professional press release writers understand the format to follow for the greatest media pick-up of your story. They write clearly and concisely, helping the media and bloggers understand why your news is important to them and to their readers. But it might not be a press release writer that you want or need. We offer three services to choose from. Which one is right for you? We have several excellent press release writers ready to serve you. Just send the details, and they will prepare your release. Press release is often not the most effective way to grab media attention. David Leonhardt will take the time to help you determine your most effective strategy. 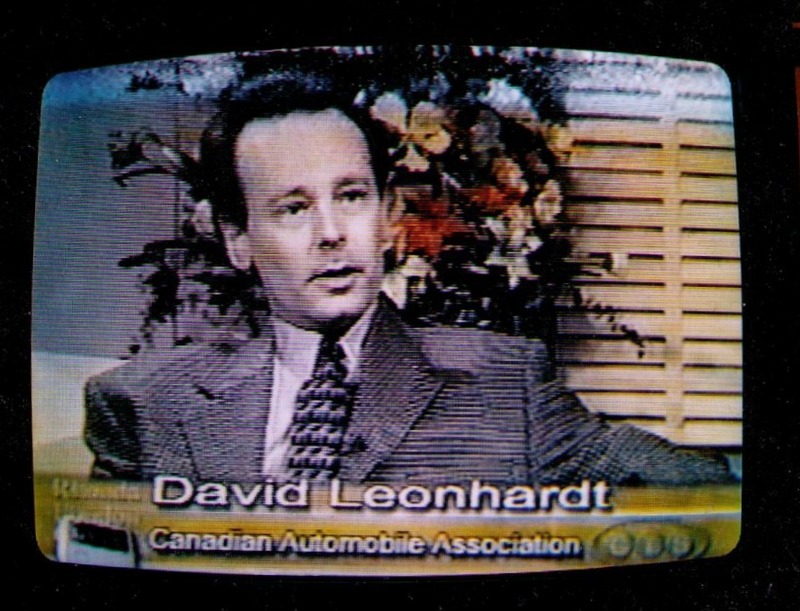 THGM’s David Leonhardt, when he was doing 500+ media interviews per year. David Leonhardt’s timeless Get In The News is the ultimate guide to gaining publicity for your business. My website has really started to grow over the past few weeks, mostly due to the press release you and Corey wrote. Thank you for the press release! Companies and event organizers hire press release writers when they think they can attract the media’s attention. Here are some reasons they choose to outsource press release writing. Tap or click to read more reasons to hire a professional press release writer. Press release writing is a bit of a specialty. It’s one thing to write a solid business letter. It’s another thing to write a press release, which is a combination of standard conventions and an effective strategy. Writers with experience as journalists. Writers who have worked in media relations. In short, you are looking for writers with talent and experience, who can help you get in the newspapers and on television and radio. You need both writing and strategy. You have something to send reporters. Newsworthy events are not overlooked. More media have access to the information. There is an official announcement to refer to. You outsource press release writing to save time. As with any writing project, if you do it yourself, you will consume a lot of time. A professional writer can do it faster than you, and takes just a bit of your time to give the writer instructions. In most cases you will save some time, but more importantly, it won’t get delayed by other pressing matters on your desk. A press release writer becomes your partner, preparing your announcements. You need top quality to attract media attention. More important than the time you save is the quality you get. A savvy press release writer will instantly know if you are on the wrong road to press coverage. He will be able to advise you on ways to improve the content of the release. He will be able to suggest alternative approaches and even advise how to become newsworthy. A news release will be only as successful as the story is newsworthy. Your freelance news writer can help you make your story or event more newsworthy. Or he can help define an angle that puts it in a more newsworthy light. Looking for professional press release writers to help you get media coverage? Let us help For a free quote on writing your press release and developing your media strategy, tap or click the red button to the right. The success of your news release depends on how well you work with your professional writer. Tap or click to read more on how to work with a book editing agency. What is the one key message of the story? This is important. So many companies try to fit in several pieces of news about their company, about their CEO and about their products. But that is a folly. Answer the question: “What’s the story?”. Answer the question: “Why would my readers care?”. Answer the question: “Is this the best story I can find right now?”. If those questions are not answered in under 30 seconds – maybe in under 15 seconds – your press release is already deleted. So keep it simple and laser targeted to the main story you want delivered. You might have other stories that actually support the main story. Those can be useful. We would put that further down in the release, and only in a manner that enhances the main story. At all costs, we would avoid confusing or distracting the journalist. Who, what, where, why, when. These are followed quite precisely in media advisories. A media advisory is an announcement ahead of news, such as to announce an event or the imminent publishing of a report or a speech. They are followed less precisely in a news release, announcing something that already happened, but it is still a critical checklist. Ideally, you can answer all those questions in the first paragraph, but that is not always practical. Provide your press release writer with simple answers to these questions, and you’ll have the essence of the press release. This gives the writer the foundation on which to build your release. Provide a CEO quote for your writer. A quote can humanize the story. A boring, official-sound quote, actually dehumanizes it. If you can provide a warm quote that helps draw a direct line between your news and real people, that will help the writer. If you can’t come up with the quote, don’t worry – your writer can. What are the best statistics to support your story? Statistics make your story more real. “Everybody” might be shopping at your store, but real numbers “prove” that it’s not just idle bragging. This might not be obvious. You are hiring a press release writer. A writer, not a strategist. But an experienced press release writer knows what will play well with the media and what won’t. Go over the available data with your writer to pick the most useful and effective numbers to include. Give your writer complete contact details. Contact details seem trivial, but they are important. While some small news outlets might publish your news release verbatim, any media of consequence won’t. Their story begins with your news release and continues on the phone or by email (or both!). The news release is just a teaser. It’s main goal is to get the media to pick up the phone and call you. Contact details are important just to be taken seriously, then more important to turn your release into a story. If you are looking for a professional press release writer, let us help. For a free quote on writing your press release and developing a media relations strategy, tap or click the red button to the right. If you want publicity for your business, hire the best news release writers. Just let us know how our writing services can help you by completing the form on this page.